A remarkable tale of war, family, and the struggle of living. 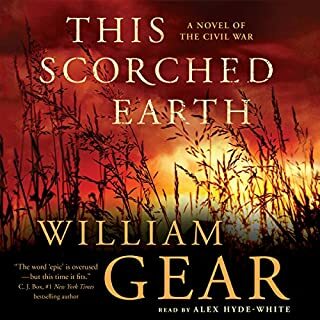 Mr. Gear has written a masterpiece of the horrors of the U.S. Civil War. It’s destruction of families and the struggle to survive and live in the aftermath of the war. I loved the Hancock family, both the loving and the hating they endured. The reader was remarkable causing me to dwell in this story. This is a story for all to enjoy. I will miss the characters in this book with their battles for life after the war. Thank you, W. Michael Gear for sharing this story with us.